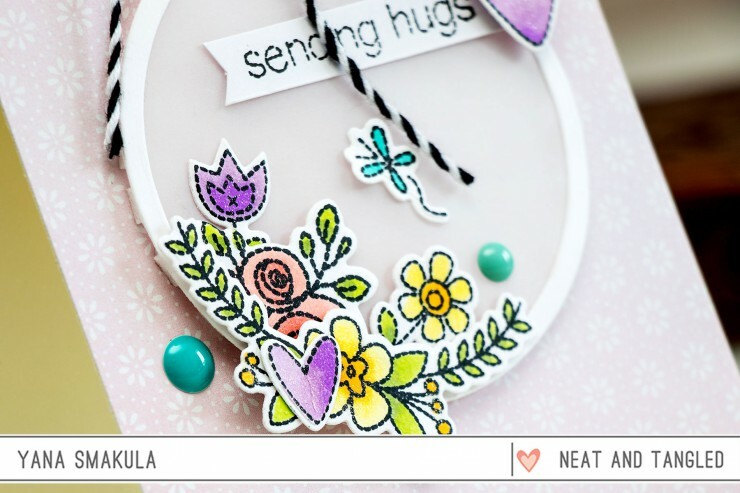 Hello and welcome to Day 4 of Neat & Tangled July 2015 release. 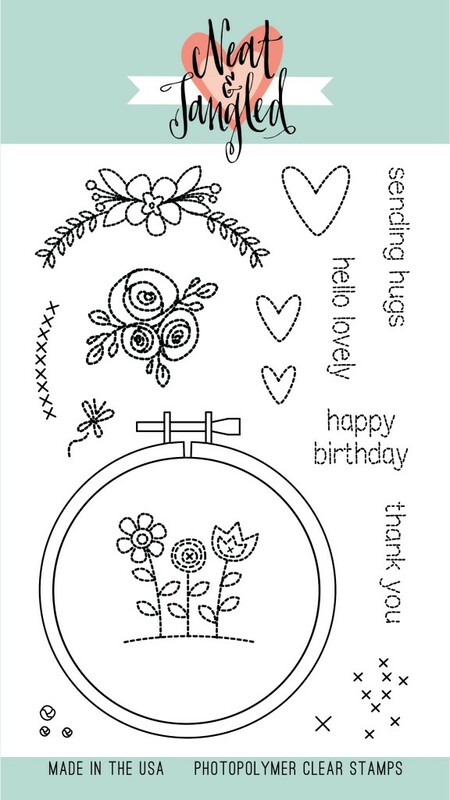 Today we are introducing Handstitched stamps + dies. These are perfect to go along with the Hoop die from Neat & Tangled, that was released in the Spring (you can see my card using that die here). I absolutely adore the fact that images have a hand stitched look to them, there’s no solid border around them, very unique. 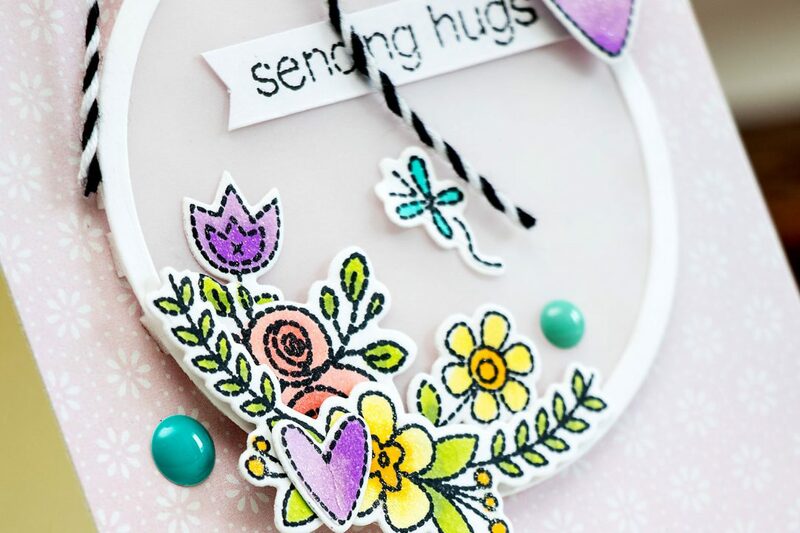 Other than the flowers there’s also that hoop image again, a few hearts in different sizes, a butterfly and a couple sentiments that also have a hand stitched look to them. I stamped my images using Memento Tuxedo Black ink and colored them using some of my favorite colors of Copic markers. I added some Wink of Stella glitter on top and die cut the images out using matching dies. Instead of using a hoop stamp and stamping the hoop, I used a die and die cut it out of white cardstock. I added a vellum screen in between the card base and the die cut flowers to somehow mute the background. For the sentiment I stamped a simple Sending Hugs and added a little heart. That card! Just breathtaking, so so so pretty! Great card! Love all the colors and the softness the vellum adds. thank you, Jamie! I used to do lots of embroidery back in the days and I still do a bit during Christmas. Helps my mind to rest. What an amazing card! I love the hand stitching designs on the stamps! that you chose for the flowers!